The book progresses as follows. 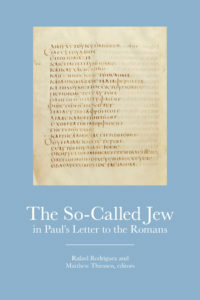 In chapter 1, Matthew Thiessen, Rafael Rodríguez, and Runar Thorsteinsson introduce themselves and the hypothesis that Romans 2:17-29 describes not a Jew, but a Gentile Judaizer. For these scholars, Romans 1:18-2:29 in its entirety is directed towards various Gentile attitudes: the pagan, the morally superior, and the one looking to “convert” to Judaism for salvation. One will object that surely Paul identifies the interlocutor in Rom 2:17 as a Jew, but it is important to note that Paul does not admit this; he simply recognizes the claims of the individual to be Jewish. This could be a Gentile claiming to be Jewish. The implications of this small change are vast, which explains the need for an entire book. The remaining chapters explore the ramifications of seeing the interlocutor in Romans 2:17 as a Judaizing Gentile. Magnus Zetterholm in Chapter 2 explores the implications for Romans 1:18-32, arguing that Paul here Paul does not describe the “human problem”, but a specifically Gentile one. Chapter 3 applies Matthew Thiessen suggests that a large number of Jews would have considered a Gentile identifying as a Jew to be guilty of theft, adultery and sacrilege. These accusations are all found in Rom 2:22, descriptions that have long puzzled interpreters as they do not easily match a first-century Jew. Joshua Garroway exegetes Romans 3:1-20 in chapter 4. Recognizing the interlocutor as Gentile removes some difficulties, such as the switch from third person (Rom 3:1), to first (Rom 3:5). 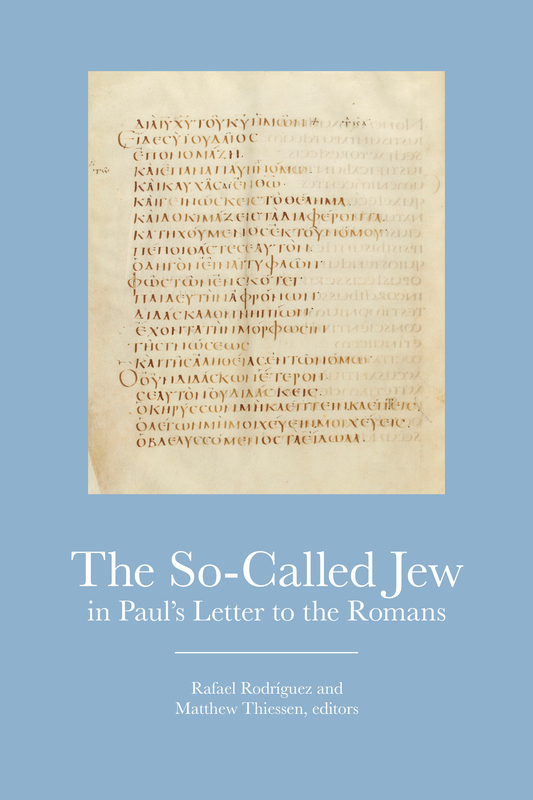 In chapter 5, Rafael Rodríguez, brings his insights from his monograph to a re-reading of Romans 5-8 that pays close attention to the personal pronouns, resulting in a clear distinction between Jew and Gentile situations. Matthew Novenson in chapter 6 compares and contrasts the “so-called Jew” in Romans 2 with the unquestioned Jews in Romans 9-11. For Novenson, this contrast confirms that the former chapter does not describe Jews. Thus, the “Jewish problem” is not rank hypocrisy or adherence to the Law. Rather, Rom 9-11 reveals the Jewish problem is a rejection of the apostolic preaching of Christ. In Chapter 7 Michele Murray finds that this re-reading of Romans 2:17 coheres with other early Christian writings (Galatians, Philippians, Revelation, Epistle of Barnabas, and the Didache). It is consistent with Paul’s concern in Romans of false teachers advocating Torah observance for all Christians. It brings greater harmony with the Paul of Acts in four ways: a) Paul is Torah observant, b) the Gentile problem is estrangement from Israel and her God, c) the Gentile problem is not alleviated by circumcision but kinship with Israel that maintains distinction, and d) Israel’s problem is a rejection of the resurrection of her Messiah. Though this view rightly maintains the distinction between Jew and Gentile and their respective “problems,” Jipp sees this can be taken too far. Death and sin are still shared Gentile and Jewish problems (Rom 3:9, 21-31; Rom 5:11-21), but this viewpoint may downplay their universality. Is All This WorthY of a Book? This seemingly small adjustment of interpretation requires a re-reading of Romans. There are surprisingly vast implications for such an adjustment. One must reevaluate Paul’s attitudes towards the Judaism of his day, if his explosive rhetoric of Romans 2 is directed elsewhere. Also undermined is the assumption that Jews were hypocrites and that Gentile Christians can be considered “true Jews”. This work clearly presents that the hypothesis makes sense of the letter, but I’m not (yet?) convinced that such a novel reading is right. I was a little disappointed that Romans 2 itself was not thoroughly exegeted, since certain verses that appear problematic for this reading weren’t addressed. Also, I think that addressing objections would have taken this book to the next level. Also, agreeing with Jipp, at times the authors attempted to distinguish the Jewish and Gentile situations too greatly. That said, if one is interested in re-reading Romans through this hypothesis, The So-Called Jew in Paul’s Letter to the Romans is the best place to turn for fresh and creative scholarship. It was a thoroughly stimulating and enjoyable book to read. Most welcome to me was the reclaiming of a healthy historical and theological distinction between Jew and Gentile, and a resistance to simplistic supersessionist readings of Paul. Many thanks to Fortress Press for providing a review copy. I was not required to give a positive review.